We went to Guardians of the Galaxy today and here is Jon's review. I will say this is the best thing the two of us have seen since Captain Phillips. Posted in Podcast, Movie Review, The Jonathan Files and tagged with the Jonathan files, Guardians of the Galaxy, Movies Review, Podcast. August 10, 2014 by Dave Brodbeck. 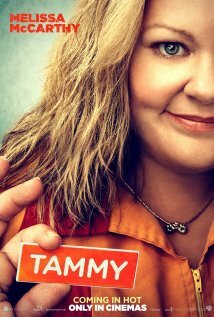 On our walk Jon decided he should review Tammy. He just saw it yesterday with Jonathan Carnaroli, who is a cool guy that does stuff with Jon. Jon calls him 'JC'. Indeed he seems to have a little nickname for everyone. We ran into a few kids Jon knows as we walked and Jon would say 'Hi For' for Forrest, for example. Anyway, I typed all of that to avoid typing about this movie. I heard it was horrible. Now Jon, on the other hand, loved it. It had laughs, and car crashes and such, so I guess that is not surprising. Sorry for the blurriness. This is actually a pretty damned moving thing to see at the side of the road. Don't forget to check out Jon's Youtube videos. Posted in Podcast, Movie Review, The Jonathan Files and tagged with the Jonathan files, Podcast, Movie Review, Tammy. July 10, 2014 by Dave Brodbeck. In this instalment we talked about how I hurt my back and how Jon is making videos. Wait, here's one now! Posted in Podcast, The Jonathan Files and tagged with the Jonathan files, Podcast, Grounded videos. May 22, 2014 by Dave Brodbeck. Jon was not too talkative during this one. Probably because he was really sick for a couple of days. That said, we soldiered on and recorded. May 15, 2014 by Dave Brodbeck. This one was recorded on the way to school and we talked about the standard stuff. It was pretty windy, so I hope the sound is ok.
Posted in Podcast and tagged with the Jonathan files, Podcast. April 29, 2014 by Dave Brodbeck. No school Monday, so no walk to school cast, but Jon did see a movie today which he really liked, Transcendence. Posted in The Jonathan Files, Podcast, Movie Review and tagged with Movie Review, Transcendence, the Jonathan files. April 19, 2014 by Dave Brodbeck. We recorded this one Friday, and, frankly, Jon and I cannot remember what we talked about. I will guess, movie ideas, MLP etc. April 6, 2014 by Dave Brodbeck. Over the weekend I was away in London, but Jon was busy seeing movies, well a movie, for his audience, that is what your high end podcasters do. (We have to get this kid to give a pod camp session some day about engaging your audience with My Little Pony stores and movie reviews). Anyway, he liked it. Listen in and find out how much. Special shout outs on this episode to Landon, Logan and Aidan and to a guy who loves where RoboCop takes place, Bobby Russon. Posted in Podcast, Movie Review, The Jonathan Files and tagged with the Jonathan files, RoboCopy, Movie Review. March 3, 2014 by Dave Brodbeck. Jon saw the Lego Movie this weekend, along with four previews. He liked the movie quite a bit, listen it to find out his rating. Posted in Movie Review, Podcast, The Jonathan Files and tagged with the Jonathan files, The Lego Movie, Movie Review, Podcast. February 10, 2014 by Dave Brodbeck.